Bloody-Mess Exclusive Interview with Nicholas Vince!bloody-mess.net Bloody-Mess Exclusive Interview with Nicholas Vince! This article was written on 11 Dec 2012, and is filled under Author: sickkgirl. Nicholas Vince is best known for his roles as Chatterer in Hellraiser, and Kinski in Nightbreed. Since then, he has written for the Hellraiser, Warheads and Nightbreed comics which were published through Marvel. Currently, he concentrates on writing his own short stories and just this year, he had published his first horror anthology – What Monsters Do, which you can buy signed direct from his site – http://www.nicholasvince.com . What made you interested in acting and join Mountview Theatre Academy? I was always interested in theatre, TV and films from a very early age. Around the age of 6 or 7, I played Peter Rabbit in a school production. My cardboard ears fell off in the watering can, whilst I was hiding from Mr McGregor, the gardener. It just grew from there. At age 11 my English teacher, Mary Salaman asked me if I’d like to play the boy’s parts in a Dickensian evening, such as Pip. This was done by the local amateur society in Horsham. I carried on doing parts with that society and Horsham Young Players. I guess I averaged half a dozen amateur shows a year until I went to drama school. How did you find the prosthetics in Hellraiser, was it hard to act in it? 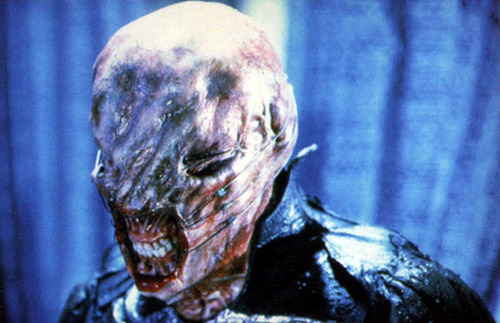 I couldn’t hear, speak or see in the original Chatterer mask. Also the leather costumes were very tight fitting. At a recent convention, someone commented how ‘meticulous’ Chatterer is in his movements. I thought that was very astute of them. Of course, this was simply as we had to rehearse my action very carefully. So, yes it was tough, as I had to have perfect movement recall, once I heard “Action!”. Are you still in contact with your co-stars from Hellraiser 1 & 2, or do you just see them at conventions and film screenings? Occasionally, we’ll meet up socially, but it’s mostly at conventions. That’s mostly because we’re based in different countries. Barbie Wilde is predominantly in France and Doug Bradley is usually in the USA. 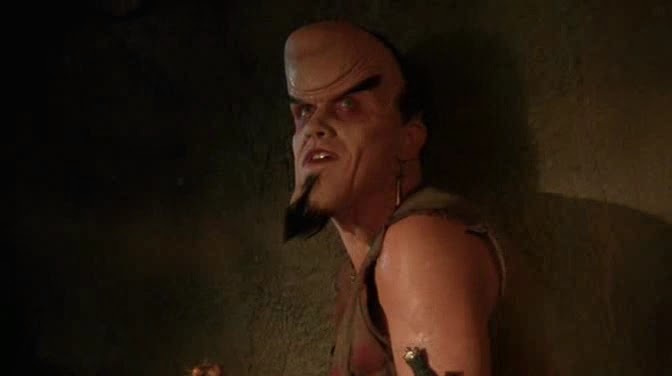 Simon Bamford and I have been lucky enough to be invited to a few Nightbreed : The Cabal Cut screenings, so I’ve seen quite a bit of him this year. Out of all the cenobites in the Hellraiser franchise, which is your favourite? You mean apart from Chatterer? Honestly, it would have to be Pinhead, as he gets all those really cool lines. The lost footage of Nightbreed was recently found, and edited into the film to make The Cabal Cut, are there any plans to re-master it, and might we see a DVD release? Yes, the plan is to release on DVD and Blu-Ray at the end of next year. Russell Cherrington has worked with VHS copies which turned up in Clive Barker’s study. However, he hopes to turn up the original film stock so he can work with that. For the most recent news on that, it’s best to head over to www.occupymidian.com. Since acting in Hellraiser 1 & 2, and Nightbreed, you changed your career path to writing. Why was this? 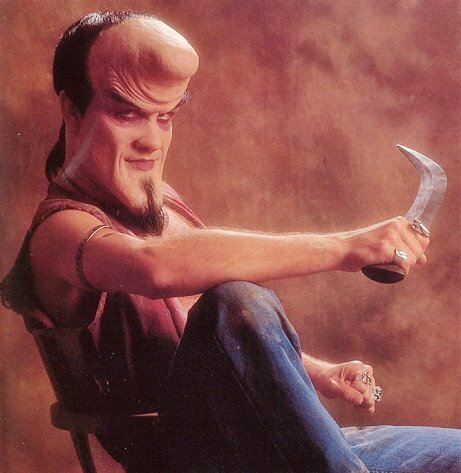 I changed my career to writing once Nightbreed came out. I remember feeling then I was no longer interested in saying other people’s lines, and I wanted to say things for myself. So, I went into writing comics, short stories and interviews for various magazines. That lasted for three years, then all my comics projects were cancelled. I had to pay rent and so I eventually ended up working in computers. That ended in May of this year when I had a chance to return to writing. I’ve also been asked to consider some acting roles. As well as enjoying the writing, I’m really quite excited about returning to acting, as there’s talk about some very cool projects. 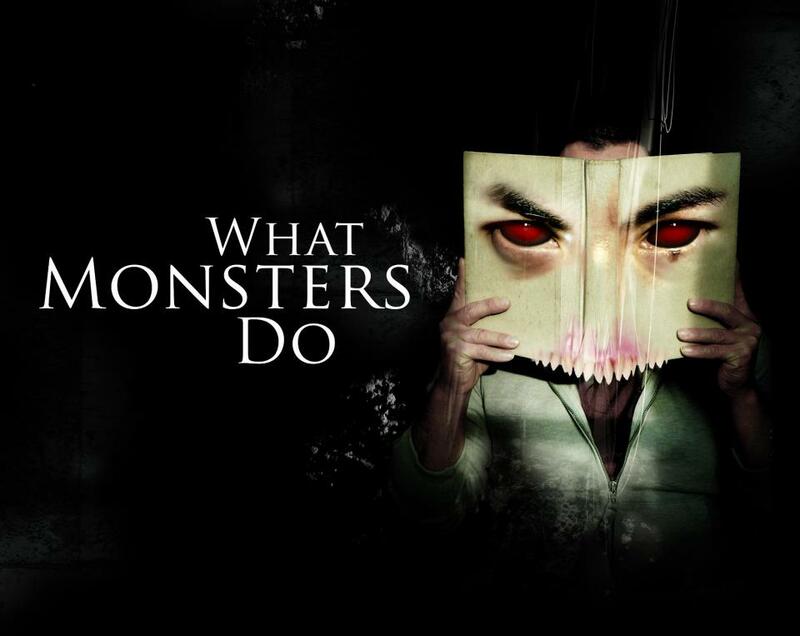 What were your major influences when writing ‘What Monsters Do’? Clive Barker, of course. I’d be foolish to deny the massive effect Clive’s had on me as a person let alone a writer. The other great writer who I love is H H Munro, who wrote as Saki. He specialised in very short, short stories. They were mostly comedies of Edwardian manners, but he also wrote some very dark tales, such as: ‘Shredni Vashtar’. Do you have a personal favourite short story from ‘What Monsters Do’? Oooh. That’s like asking me to choose between my children. The feedback I’ve received is that people have different favourites, with no particular story being a winner over others. My favourite at any given time, is usually the one I’m working on at the moment. Though that depends on how well the writing is going on a particular day. Could you ever see the book becoming an anthology film? It would be great if it did. Perhaps more than one film as there are 7 stories and some would take 20 minutes to tell properly. I like the idea of the stories being translated into another medium. As well as films I’d also like to see them made into stage plays. Which do you think is scarier? Traditional monsters (vampires, zombies, werewolves etc), or human monsters, that have deep rooted psychological problems? I think the scariest things are the things which we can identify with. So, I like my horror to be as close to reality as possible. I read a very interesting discussion on facebook where someone pointed out they like to be disturbed and not disgusted. I’m about to watch ‘Dead of Night’ (1945) again, which is one of my favourite movies, as it’s deliciously creepy. It starts with a man who believes he’s reliving a dream and is disturbed by this, as his dream doesn’t end happily. It’s also a portmanteau film with four stories. I like the original Wolfman as it presents this terrible moral dilemma that the wolf man can only be killed by someone who loves him. That’s something which I missed in ‘American Werewolf in London’. It would have had far more emotional depth if Jenny Agutter had to kill her new boyfriend for him to be released from the curse. I like horror which makes me think. If you could only read one book again for the rest of your life, which one would it be? Good question. It would be both volumes of The Collected Writings of Nichiren Daishonin. He was a 13th Century Buddhist monk, who set out to work out how everyone can become happy. It also contains a horrifying description of the ‘Hell of a Blood Red Lotus.’ In this hell, the sufferers are so miserable that they crouch down and pull their heads forward. They do this to such an extreme that eventually the ribs are pulled from their spine so that their backs open like the petals of a lotus flower. What are your plans for 2013, can we look forward to anymore books from you? I’m working on the next volume of short stories, ‘Other People’s Darkness’. I’m also hoping to do some acting and a lot more convention appearances, particularly in the USA. Thank you for speaking to us and we wish you best in your writing!